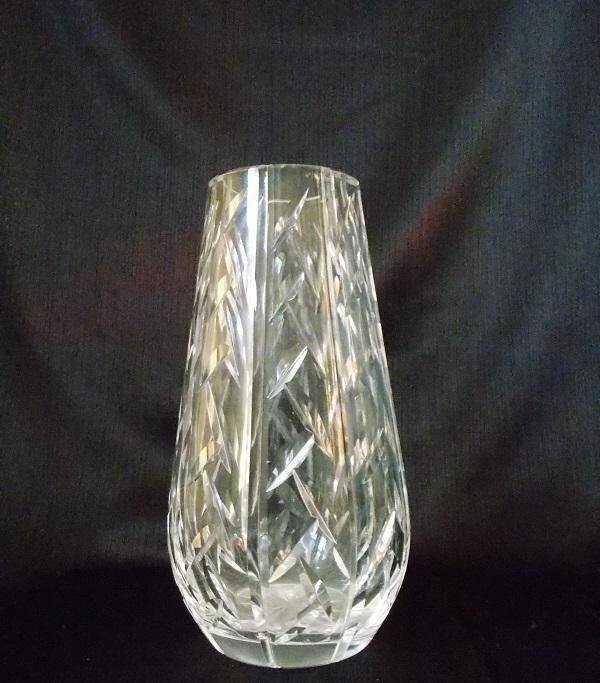 This large Waterford crystal vase is a solid heavy piece. 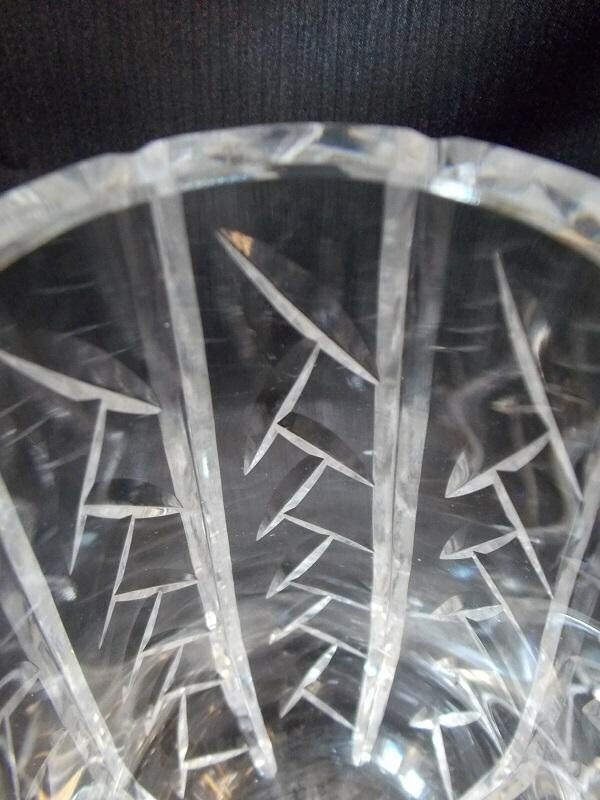 It is pear shaped with a cut and polished geometric /zig zag line pattern running vertically down the piece. 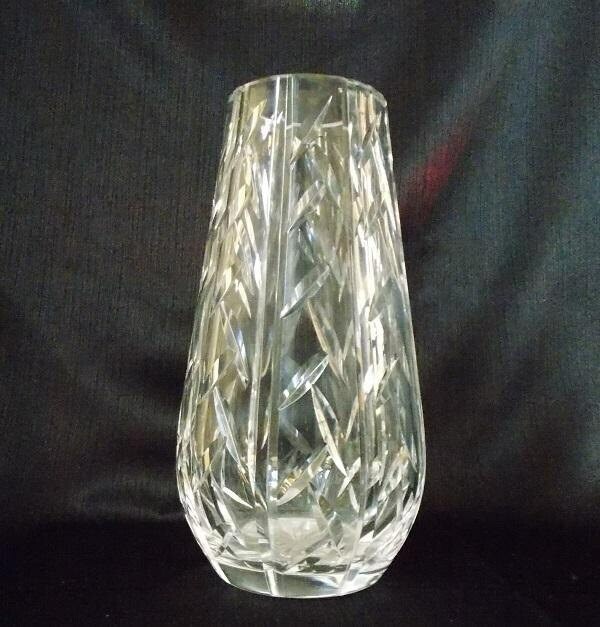 The vase has a thick rim and star pattern on its base. 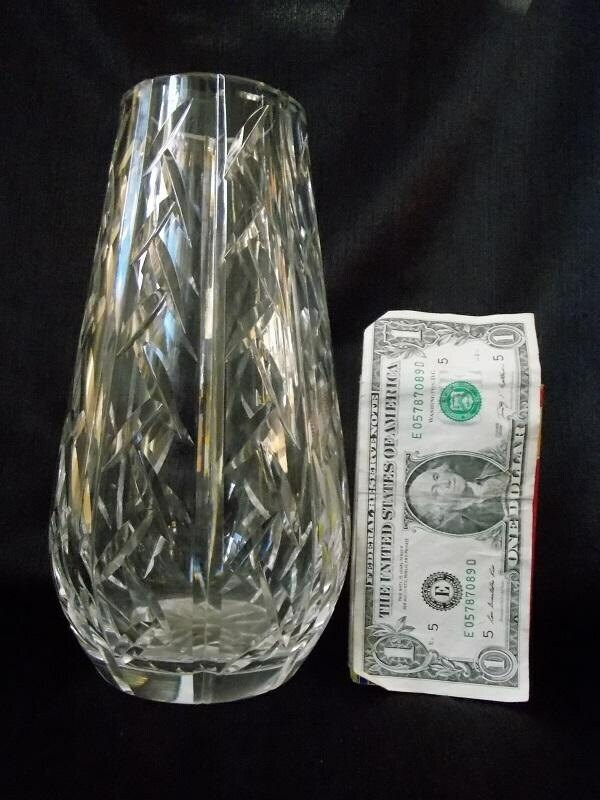 It has the old acid etched "Waterford" on the bottom. 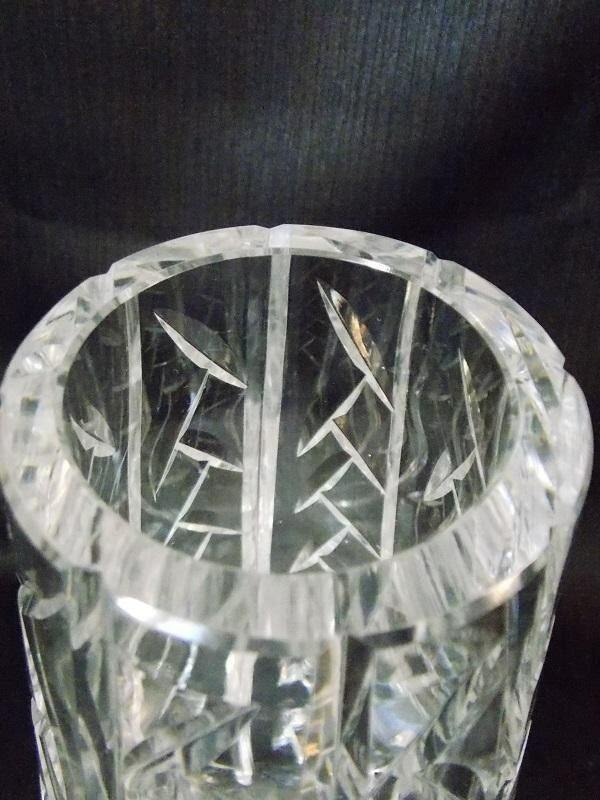 This vase is in nice vintage condition, but there are a couple of very small scratches and a couple of tiny flea bits from normal use on one side which does not take away from the beauty of the piece. These imperfections have been reflected in the price. Thanks for your consideration and have a great day! !